Funds will be utilized to provide direct and support services to victims within our 10 county catchment area. Additionally, the funds will assist victims with re-establishing their lives after victimization has occurred. The agency will purchase household items such as bedding, kitchen essentials, bathroom basics as well as cleaning and laundry products. 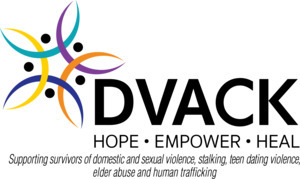 The mission of DVACK shall be to reduce the incidence of domestic violence and sexual offenses and to provide comfort and support to victims through crisis intervention and support services in North Central Kansas.